Between 6pm and 6.15pm on Monday (8/4), two teenage boys were threatened with violence by three other males at The Point, Centre MK, near to the bus stops. The boys were shown a large knife handle in the waistband of one of the males and were told to empty their pockets and hand over belongings. The two victims managed to run away and the offenders then walked off. A Bose speaker and £5 in cash was stolen during the incident, and the two victims were not injured. 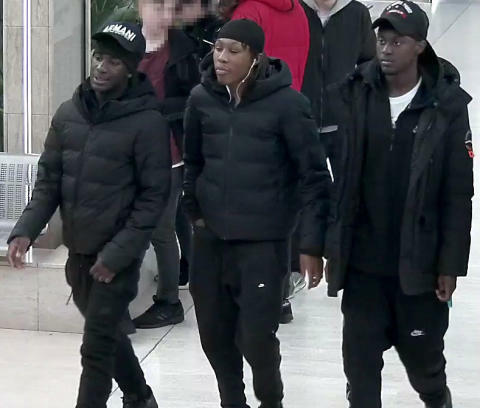 Investigating officer Detective Constable Dawn Washburn, of Milton Keynes CID, said: “I am releasing the images of three men who I believe will have vital information in connection to this incident. “If anybody recognises any of the individuals in these images, please call the 24-hour non-emergency number 101, quoting reference number 43190106768.